Prairie Women Sewing Circle Can you believe it is August? You know what happens in August besides your kids going back to school, r ight? 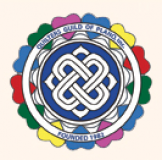 Plano Quilt Show! Come and see beautiful quilts Friday and Saturday, August 9-10, from 9 a.m. - 5 p.m. Stop by the Happiness Is ... Quilting! booth to say hi to Wendy, Andree and Laura Kay. We will be having special guests on Saturday. Quilt Across Texas with Us! We are getting geared up for the 3rd Annual Quilt Across Texas. Make sure you have your passport because the fun begins September 1 and rolls through the entire month. At each Region 2 store, you will receive a different collectable Villa Rosa pattern. To get your pattern, you have to have your passport stamped. We received our fabric yesterday and it is available for pre-sale. We will see you in September when the summer's through! It's not t o late to Join Pebble Rehm in her Hawaiian Applique class on Saturday, August 3, and Saturday, August 31. In part one of this 2-part class, you will learn the method of cutaway applique and be able to pick the specific Hawaiian blocks that appeal to you. Then you'll learn how to make a cutaway border that fits the size quilt that you desire in part two. You will also learn how to do reversed applique! Enroll here. We are excited to be meeting after a brief hiatus. We will see you Sunday at 1:00 p.m. The theme is Indian Summer so be sure to wear your Bollywood inspired costume for a chance at a prize. There will be more fun, games and prizes galore. We love to see everyone one's show-n-tell. The fee is $10 with a $10 coupon good for Sunday so be sure to sign up today. You asked for it and we deilvered. Janet Lindsey is teaching a Saturday class! That's right, Saturday! Janet is a talented artist and a patient teacher. Join her on a Saturday, August 17 for Introduction to Silk Ribbon Embroidery. Join local Moda Bakeshop Chef, Cindy Sharp, for this fun seasonal quilt using her own recipe published on Moda Bakeshop on Saturday, August 24, from 10 a.m. - 4 p.m. In this class, you'll learn Cindy's personal tips and tricks for constructing this layer cake quilt. Enroll here.